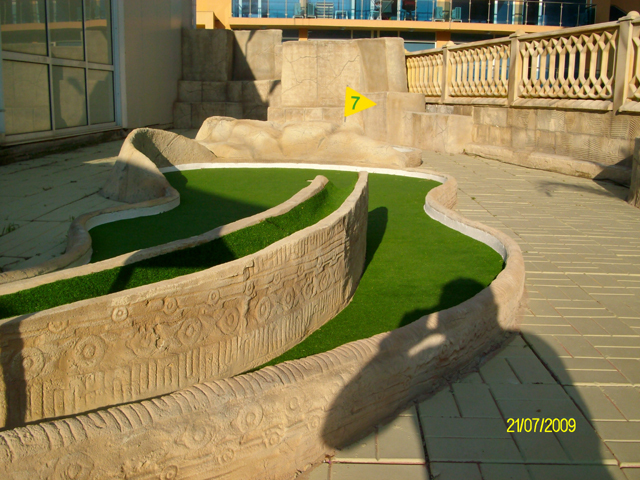 Rock and water features can make a truly spectacular and dramatic addition to miniature golf course. 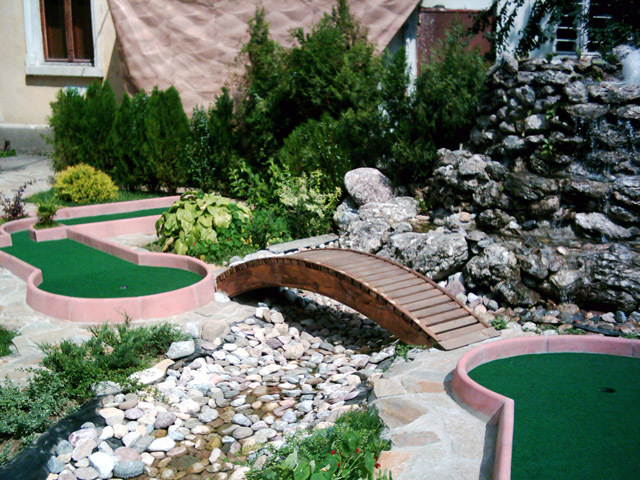 Waterfalls and streams can be the main design element of your entire miniature golf course – creating excitement and beauty while adding to the overall play of the course. 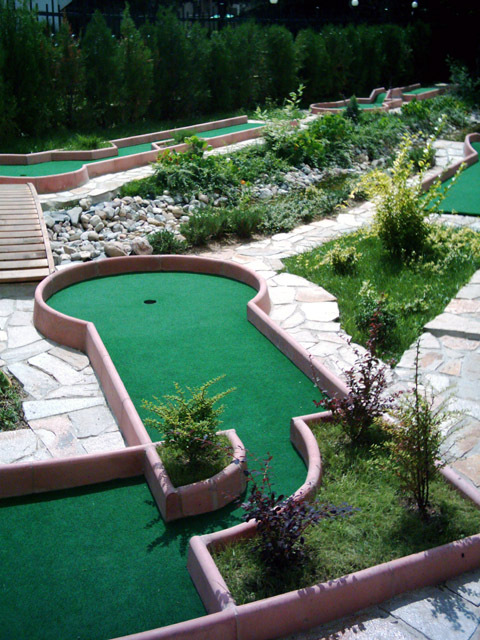 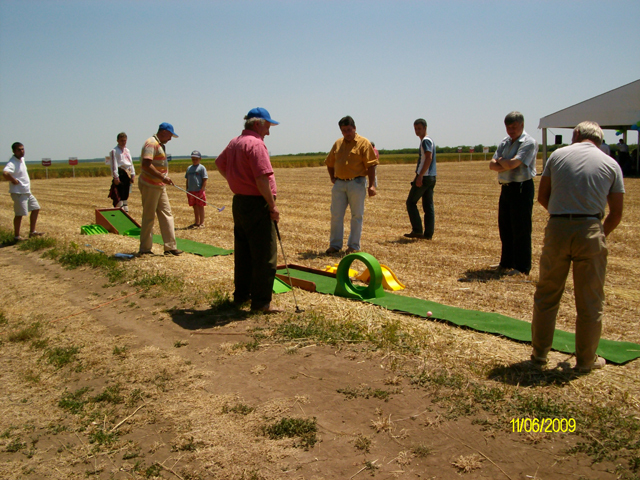 As with all aspects of planning the construction of a mini golf course, proper planning is critical. 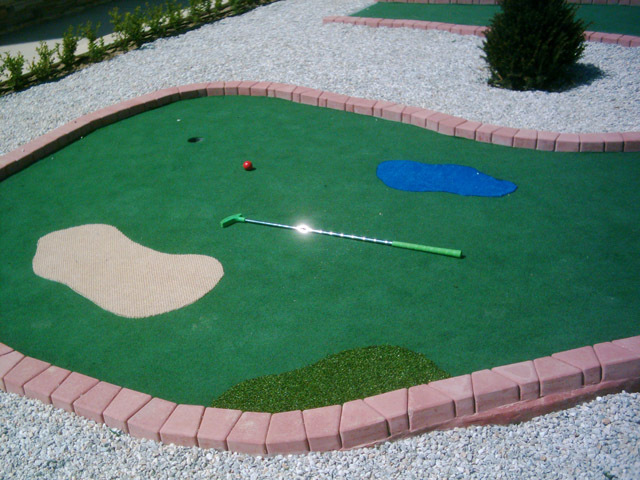 Wwe will briefly discuss all of the elements that go into the proper planning of a water feature for your mini golf course. 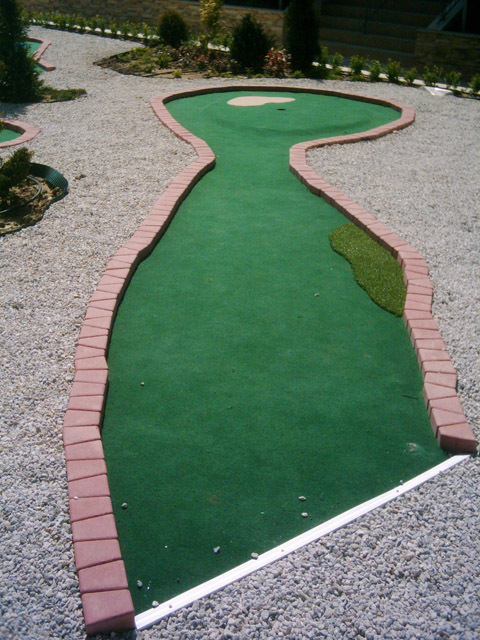 One of the most common uses for water features in mini golf courses is to visually obstruct neighboring features. 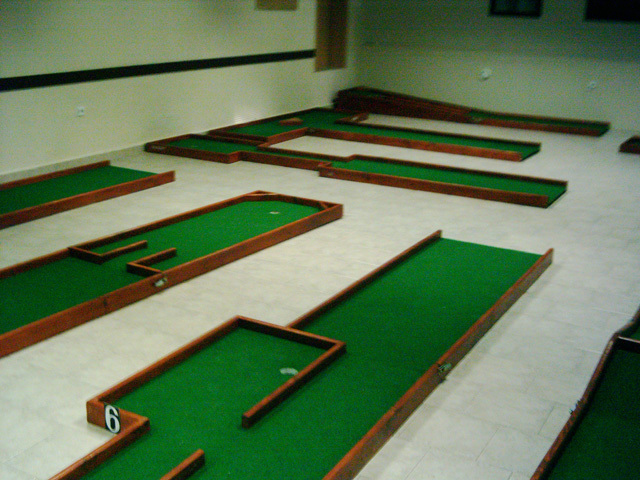 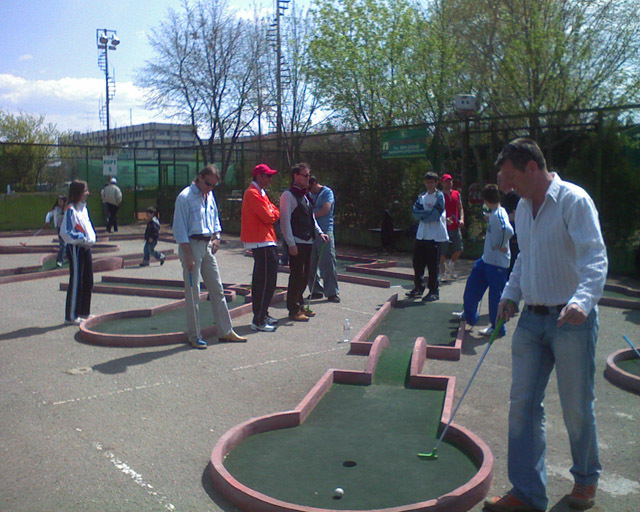 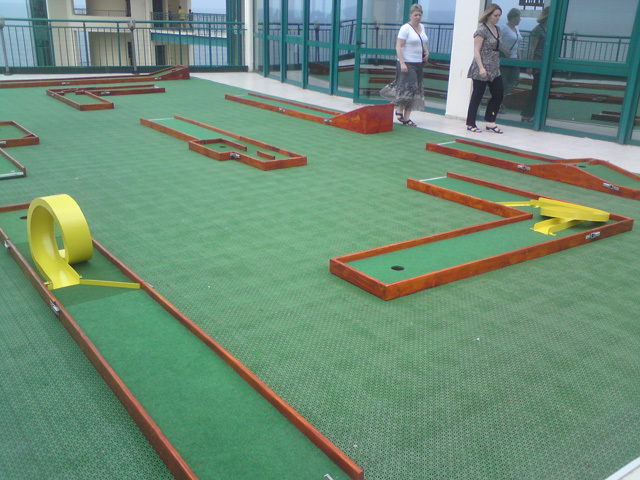 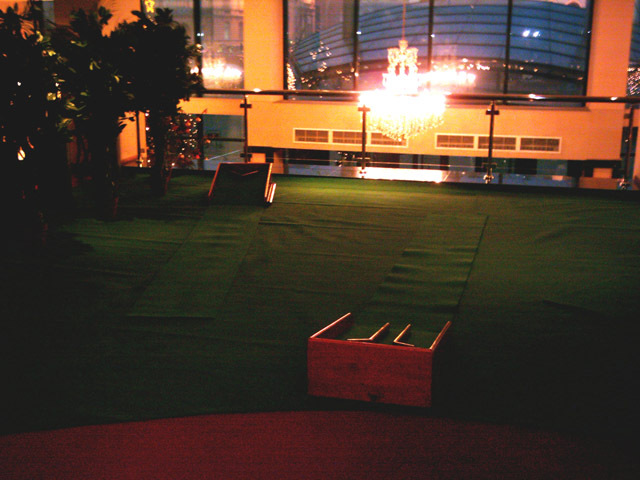 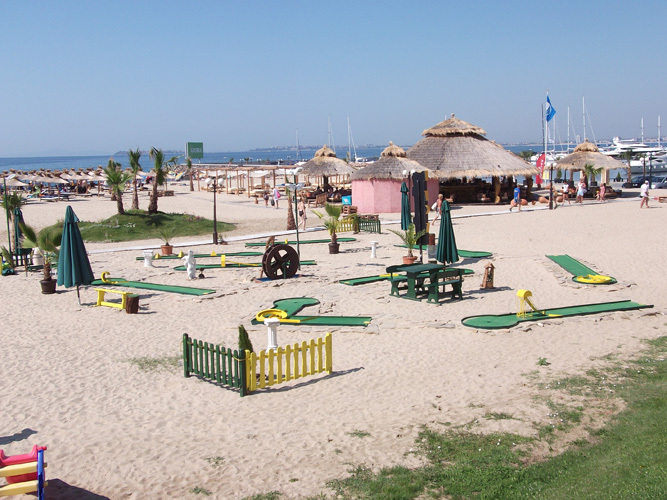 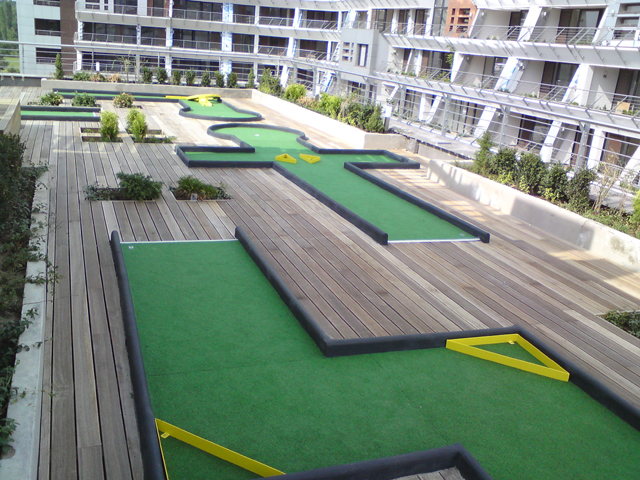 Often, mini golf courses are constructed adjacent to other businesses or parking lots which may not be visually appealing. 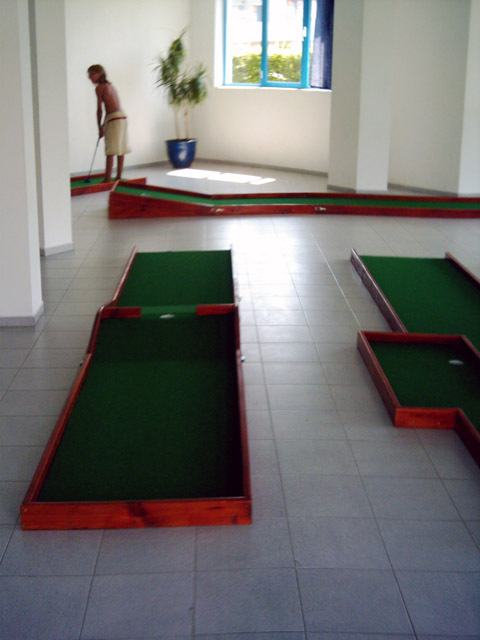 You can use the vertical height and massive scele of a water fall to create a more tranquil environment for your miniature golf course. 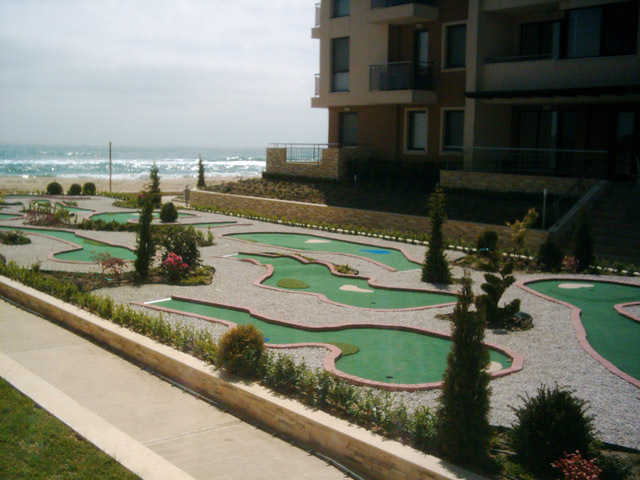 Combined with creative landscaping, waterfalls and other water features are particularly well-suited for these types of situations. 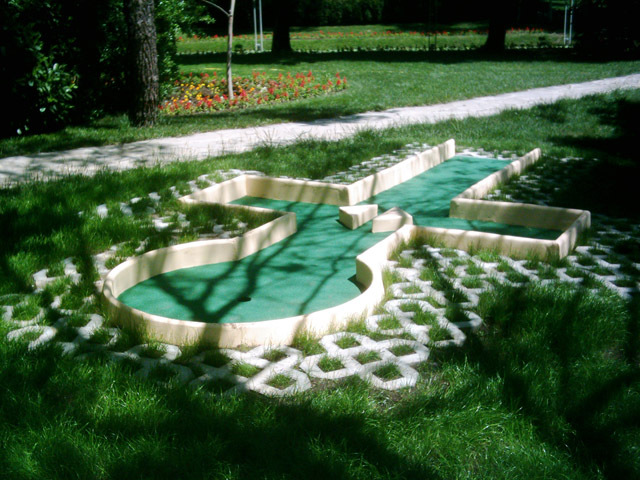 In extreme cases, mini golf courses can be almost entirely surrounded by these sorts of water features. 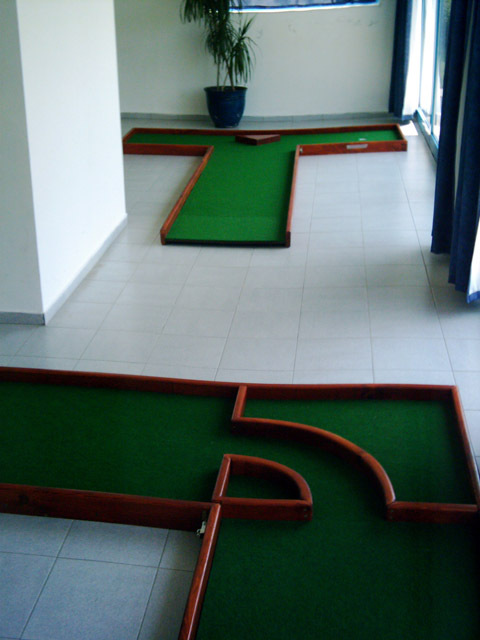 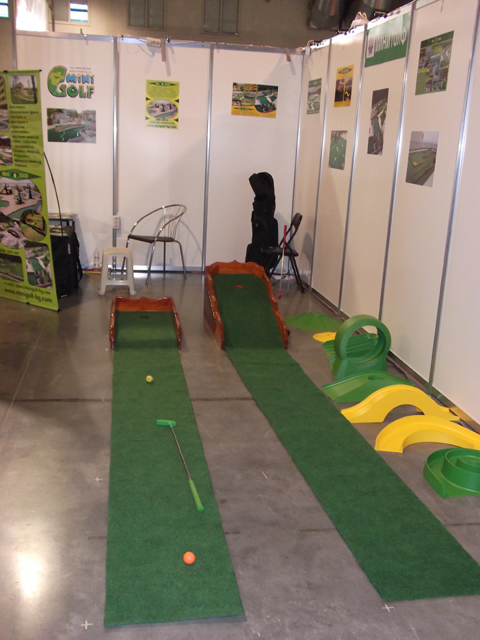 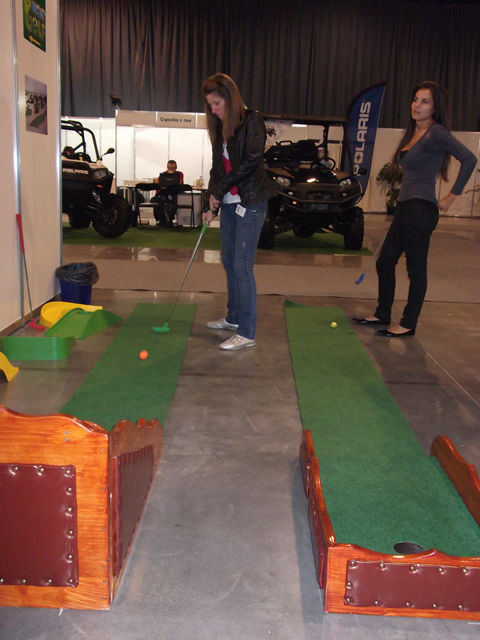 Another very popular approach to adding water features to your mini golf course is to create a course theme. 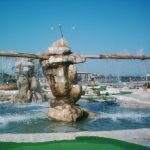 Ranging from pirate golf themes to old-time mining themes to nature golf themes and more, waterfalls and other water features can play a central role to creating the center piece of that theme. 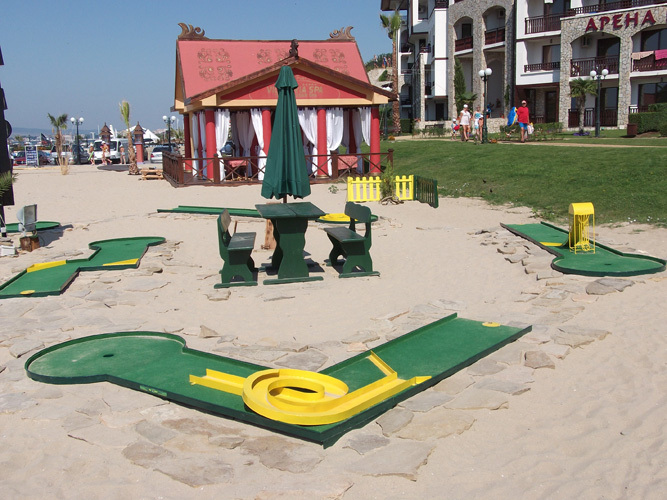 The impact of a properly designed water feature on a miniature golf course is unlike any other. 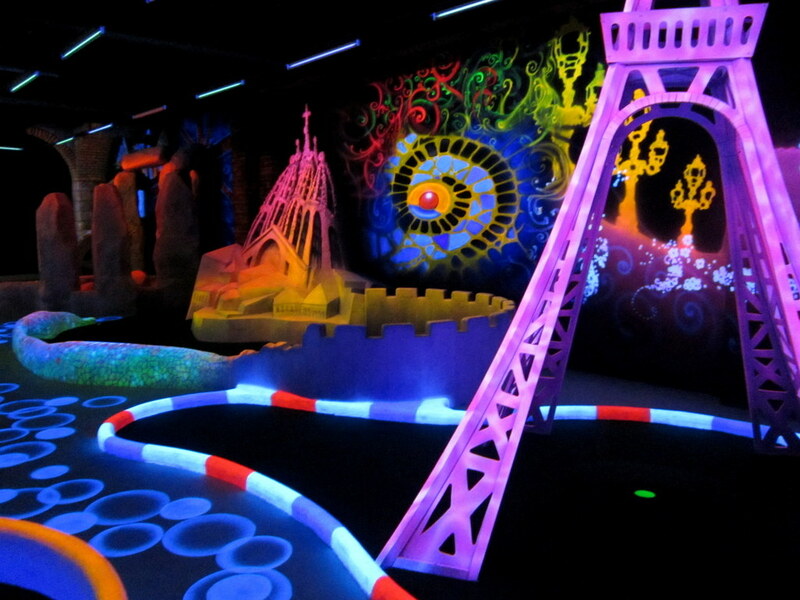 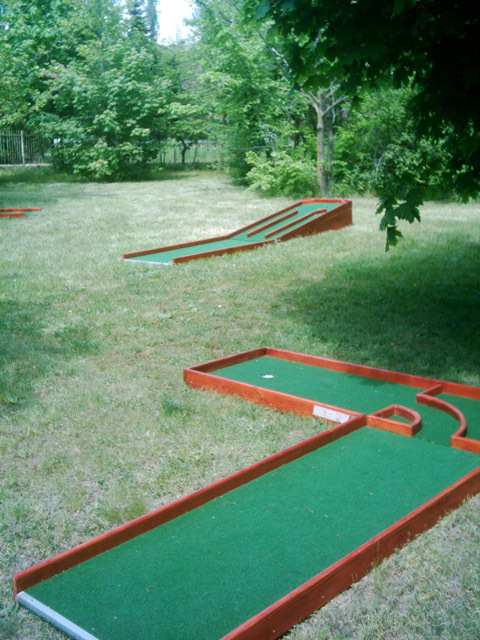 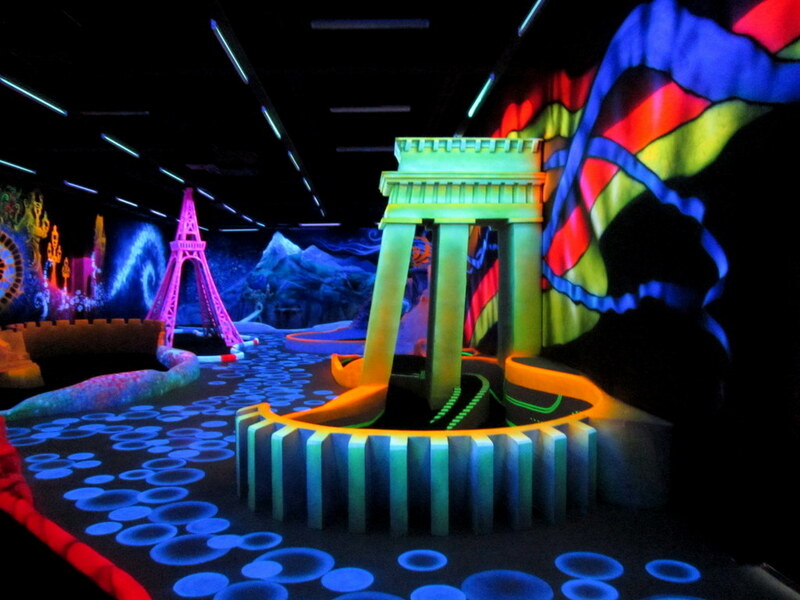 There is no other single feature that can so dramatically transform a mini golf course. 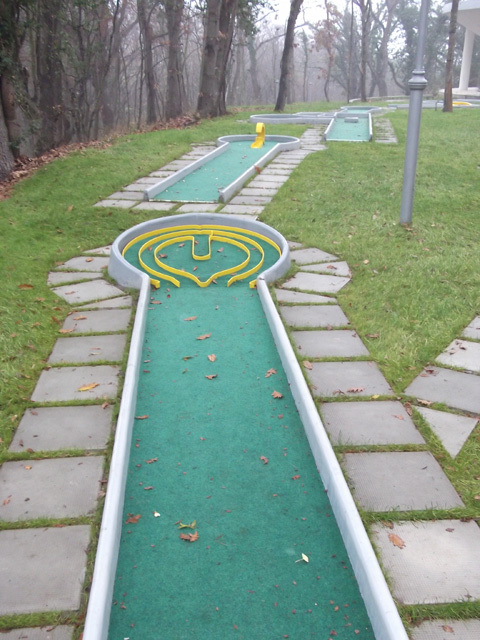 Obviously, water features are not appropriate for all mini golf themes … but for those that can use water, a waterfall is highly recommended. 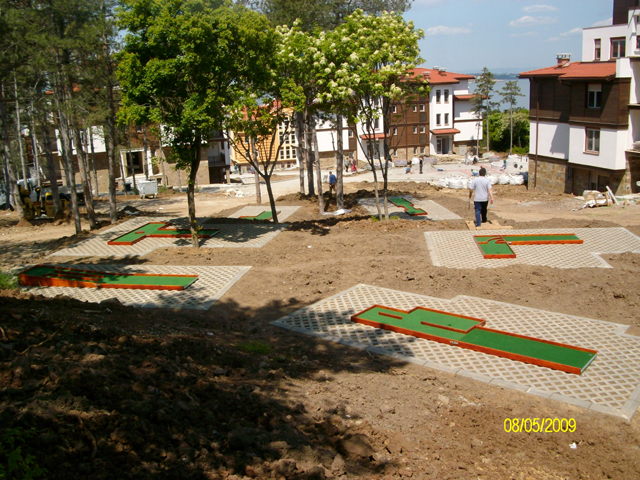 In many cases, it is desireable to add water features simply to beautify the mini golf course. 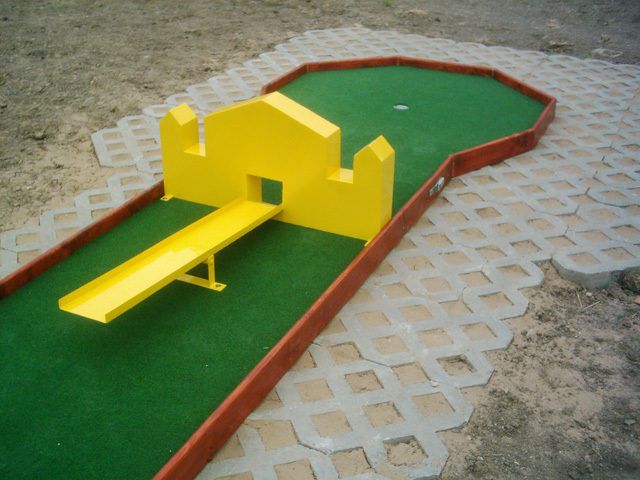 While such features may not be directly involved in the game play, they can add much needed beauty to the course. 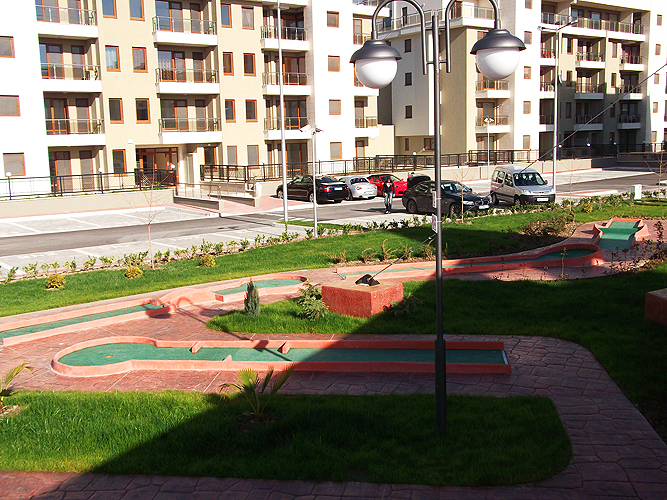 In these cases, the water feature is often located in close proximity to high-visibilty areas like near the road (to attract business) or near concession areas to create a more pleasant experience, thus encouraging people to stay longer and buy more. 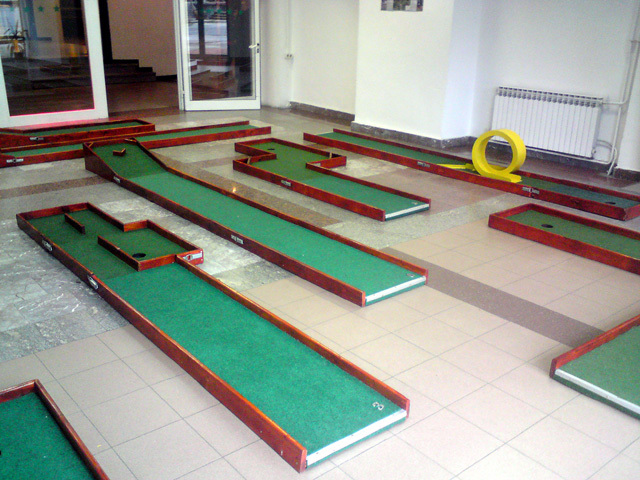 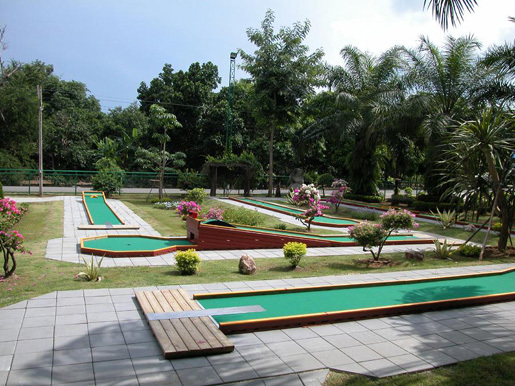 Adding water features to mini golf courses for this reason is often beneficial if you own an adjacent business like an ice cream shop or another amusemnt, as the water feature can be enjoyed by both businesses. 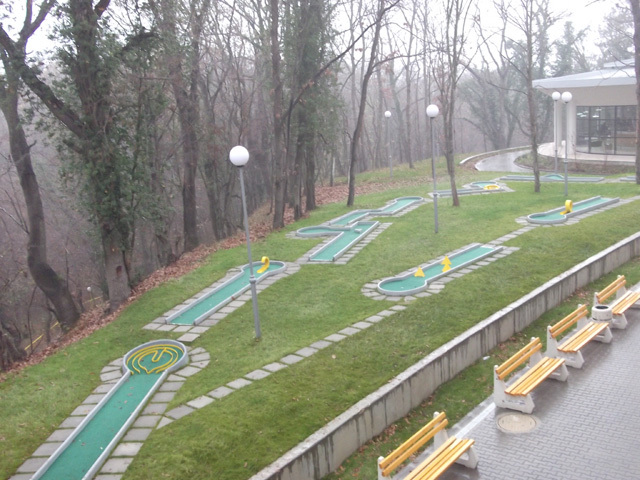 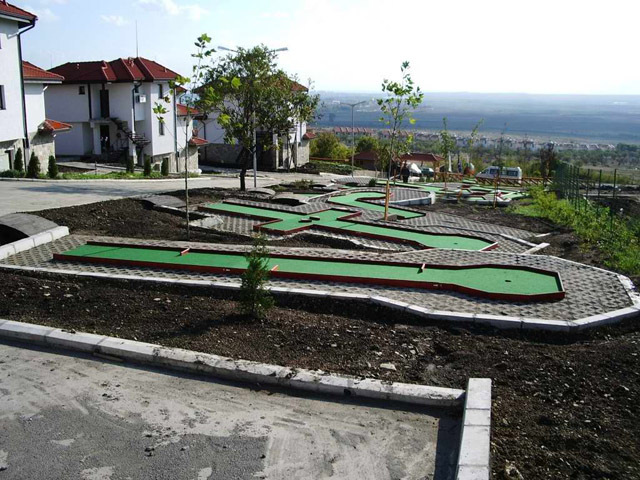 For the greatest impact, water features are integrated directly into the mini golf course itself as obstacles. 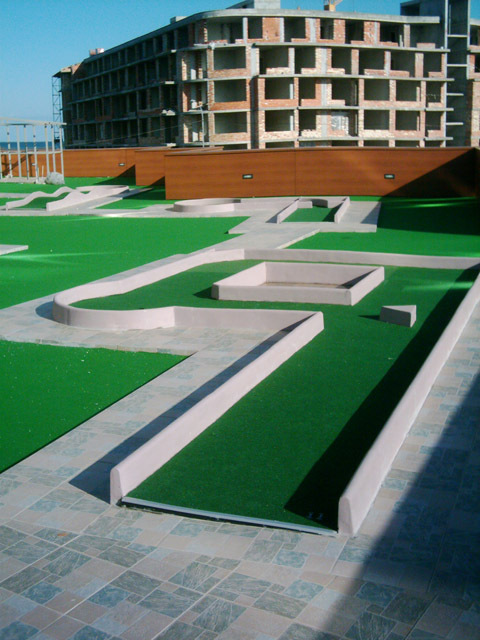 Course play is influenced by the waterfall and other water features. 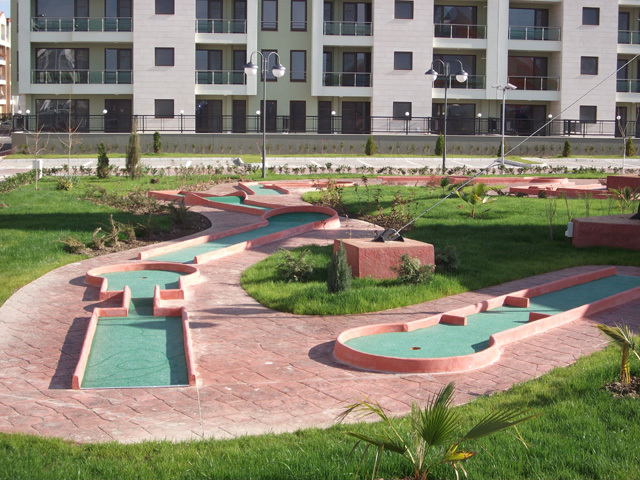 Golf holes can be situated under waterfalls, over bridges, or integrated in a number of ways – designed to make the most of your central water feature. 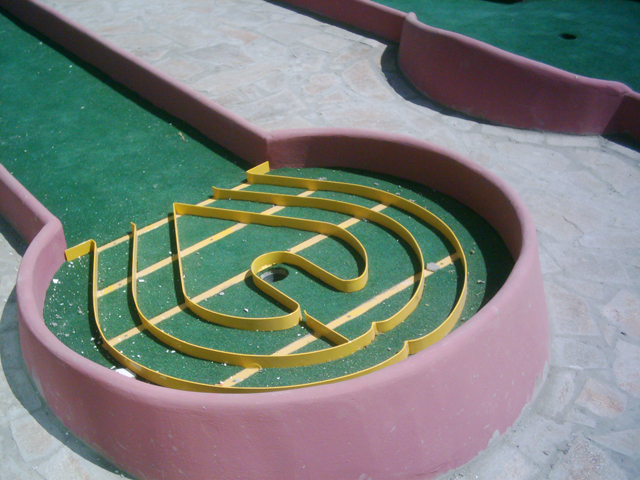 Many of the top-rated mini golf courses are designed around these sorts of water features. 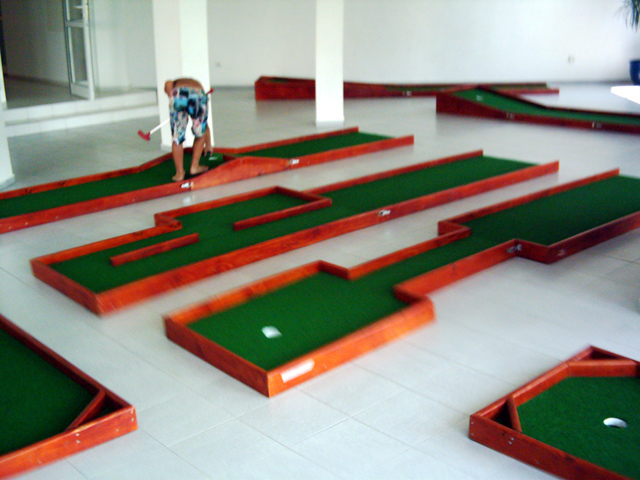 In the end, how you choose to use waterfalls and water features for your mini golf course will depend on your specific situation and goals. 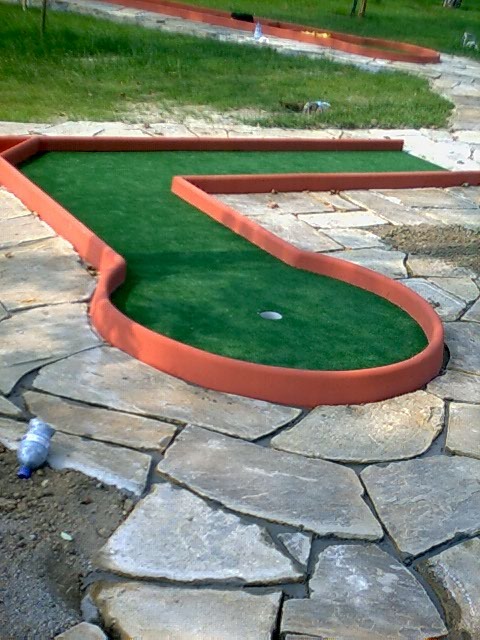 No matter the situation proper planning is necessary to make sure you get the most out of your mini golf water features.